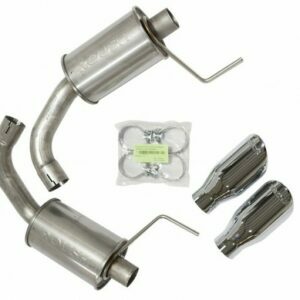 “Ford Performance By Borla Stainless Steel Sport 2-1/2″” Cat-Back Exhaust System with 4″” Black Exhaust Tips for all 2015, 2016 and 2017 GT Mustangs. 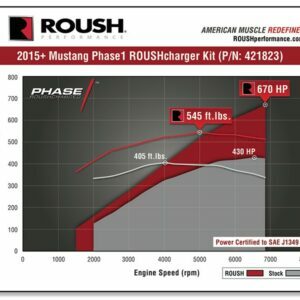 Almost instantly, one of the first things you will notice on your new 2015-2017 Mustang GT the moment you bring it home from the dealership is how quiet it is. 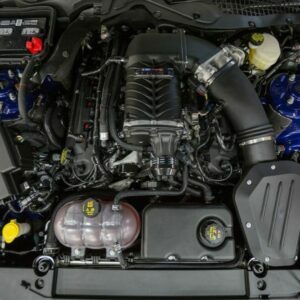 Although you can still tell there is a 5.0L V8 under the hood, the factory exhaust leaves your average muscle car enthusiast wanting more. 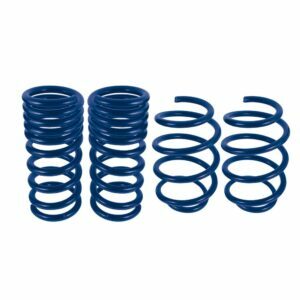 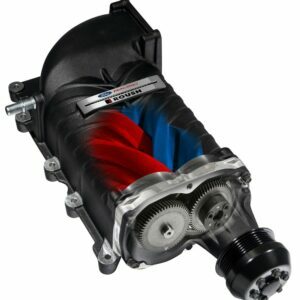 Ford Performance introduces their brand new Sport Cat-Back system by Borla for all 2015-2017 GT Mustangs to help solve this problem. 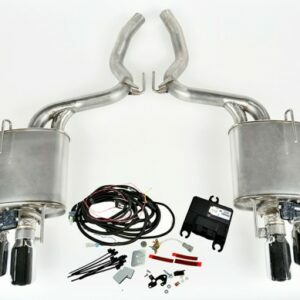 Manufactured out of T-304 Stainless Steel, this 2-1/2″” cat-back exhaust system will give you an aggressive muscle car sound. 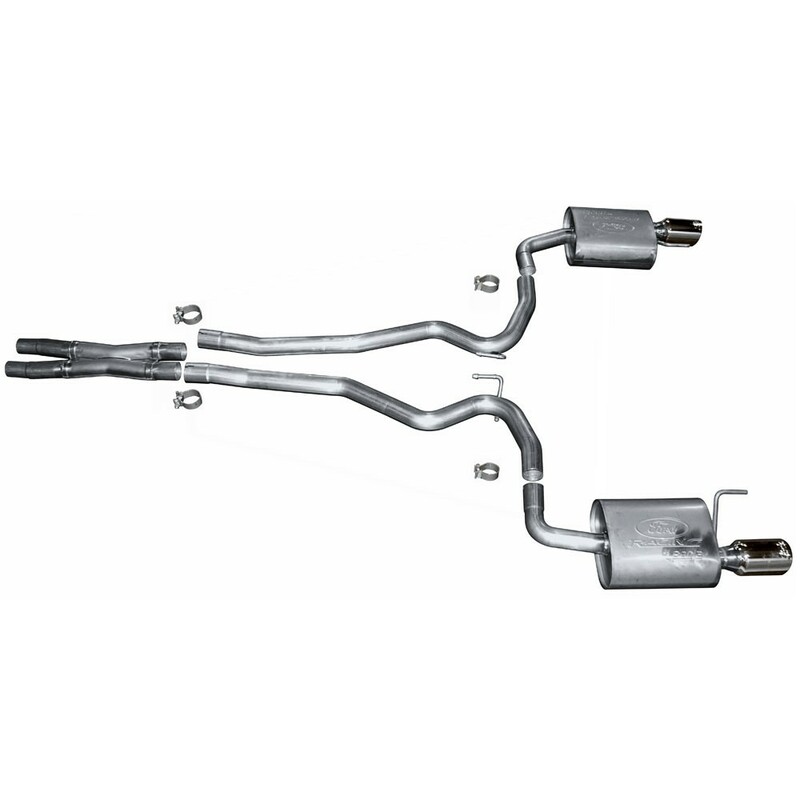 This Mustang Borla exhaust system utilizes an integral X-pipe that bolts directly to your factory catalytic converters, keeping your Mustang 100% emission compliant. 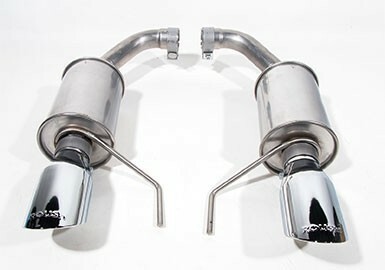 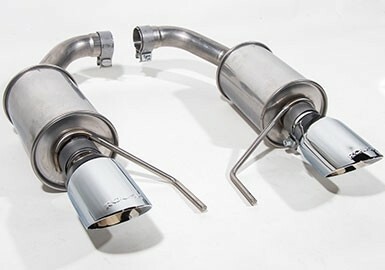 And the tuned stainless steel mufflers with 4″” Black tips not only sound great but look amazing as well.